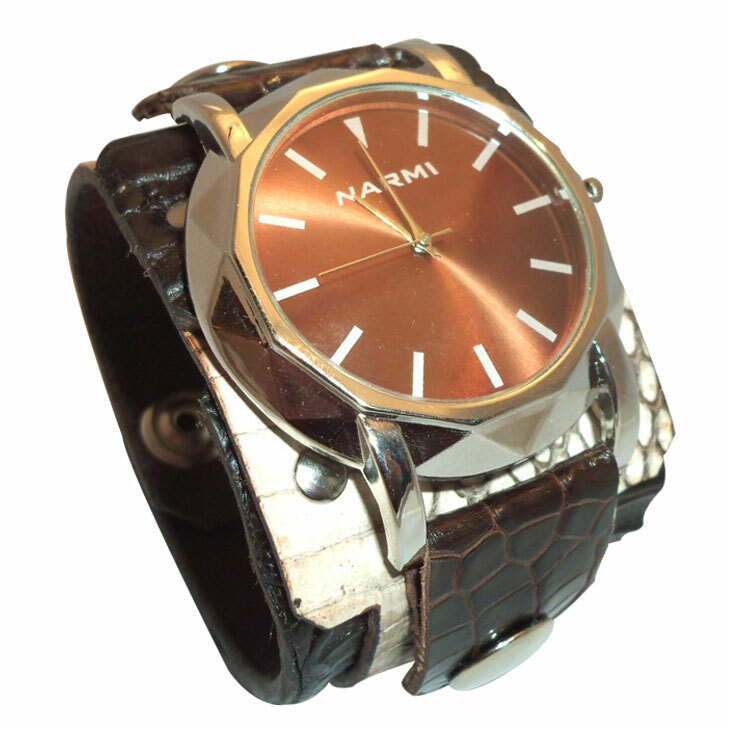 I was very hesitant when customers approached me to design a signature watch . 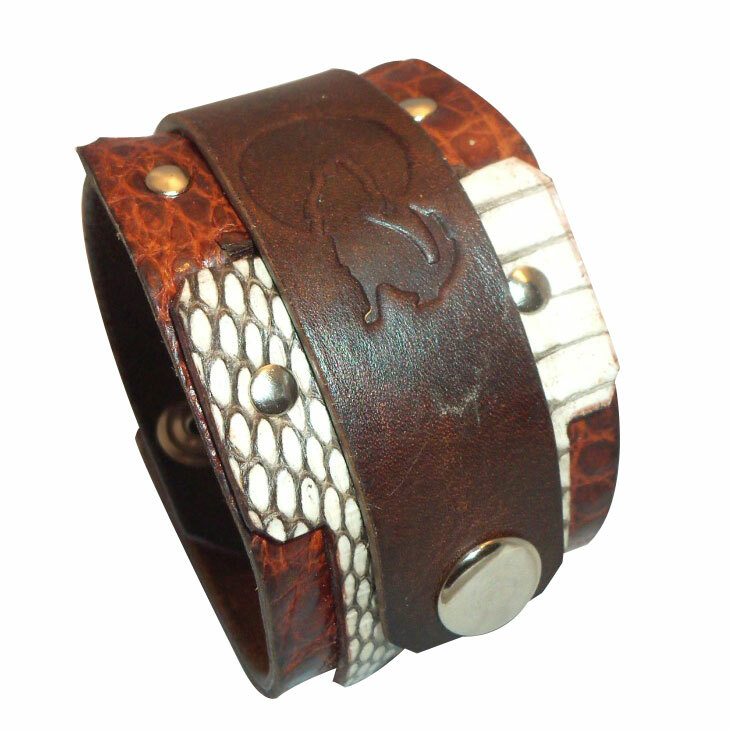 Staying true to the WolfCuff ethos being a unique wristband I created "The Chameleon" (Patent Pending). 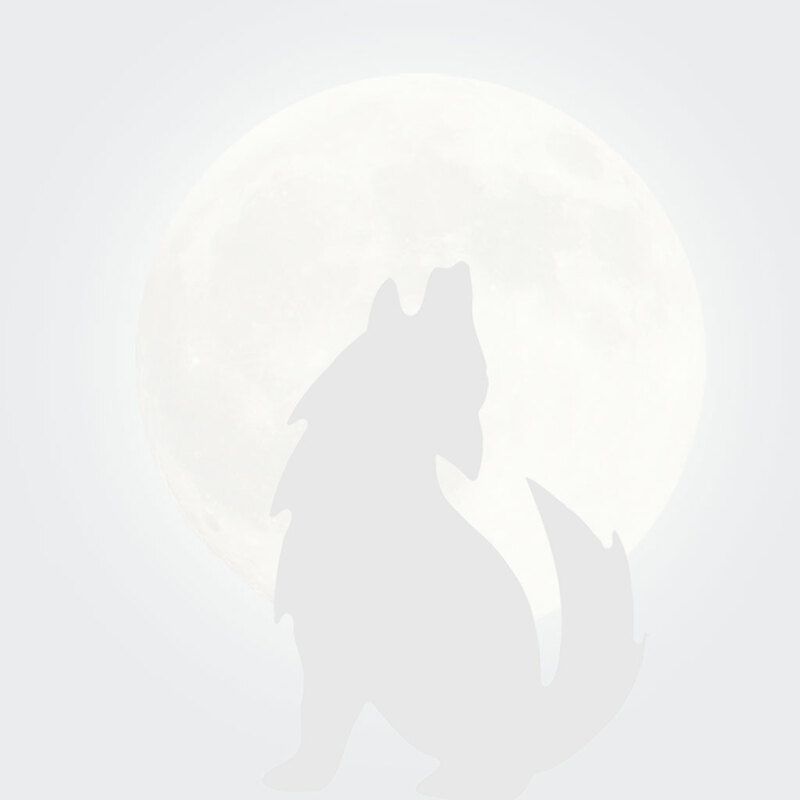 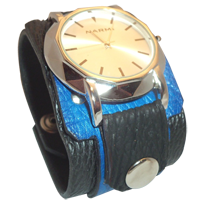 The face is detachable and can be replaced with a leather band that comes included in a matching color. 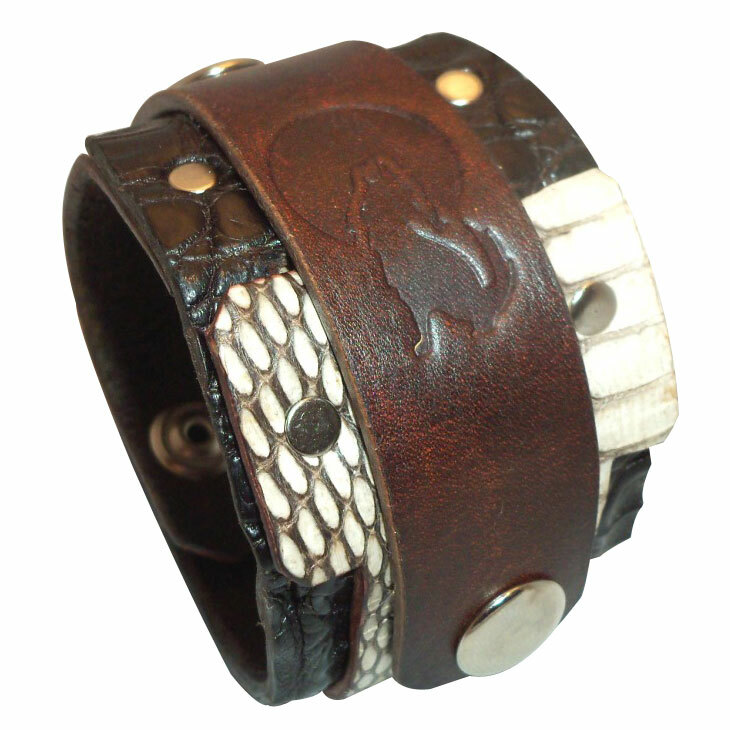 These replaceable bands also come in custom designs, with crystals, silver roman coins and more to make the look when you wear it as a cuff even more unique. 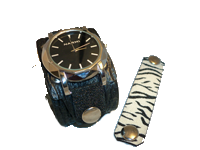 So The Chameleon offers you the choice between multiple watches and wristbands. 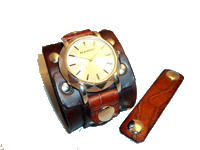 A true "game changer"
2" wide cuffs start at $169 including the watch face and a standard interchangeable leather band. 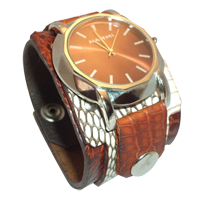 Tan alligator and white cobra with copper-tan watchface. 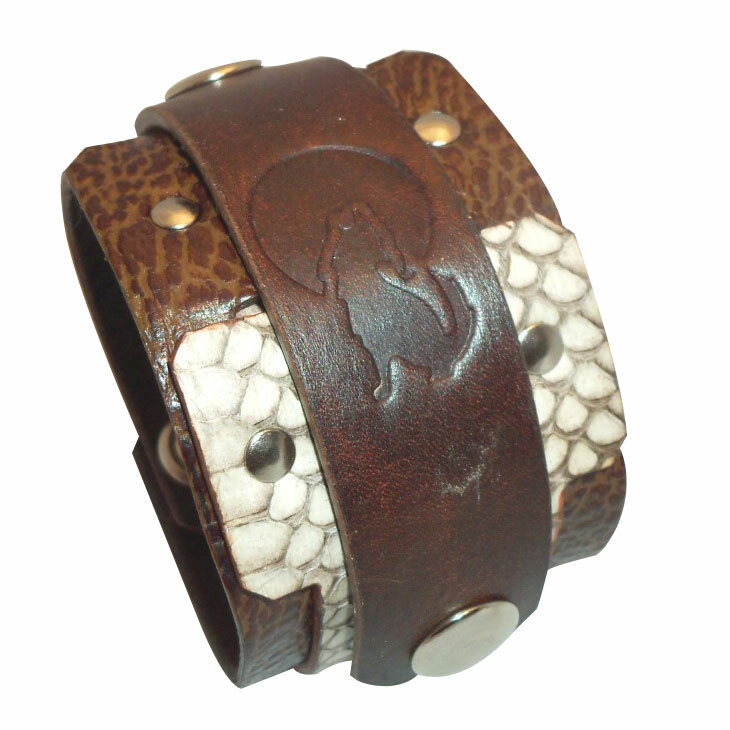 Brown leather decor band with WolfCuff logo inluded. 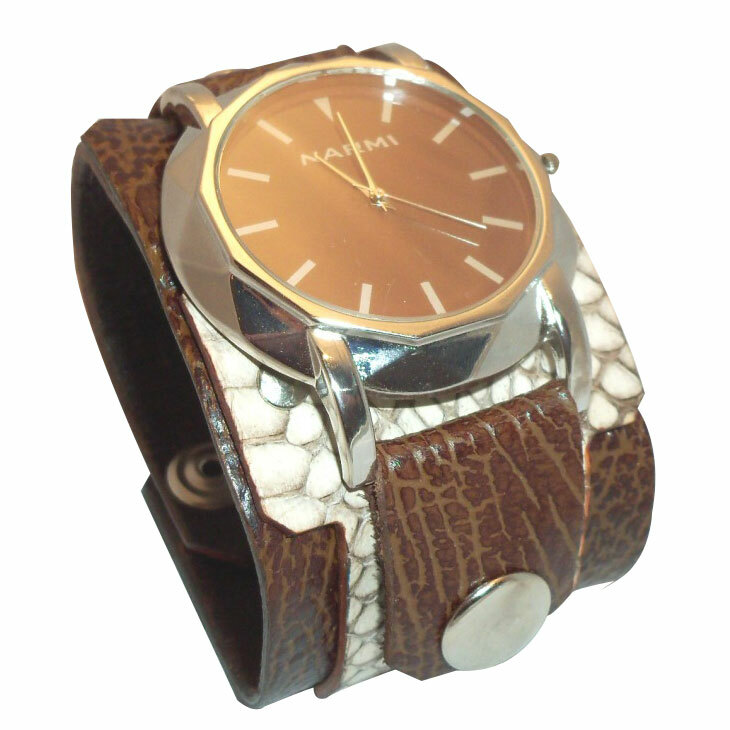 Uniquely grained brown shark and white cobra with brown watchface. 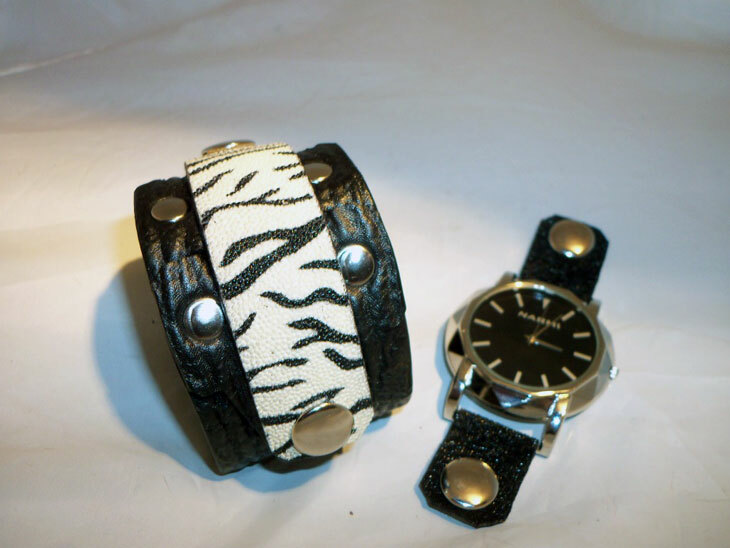 Leather decor band included. 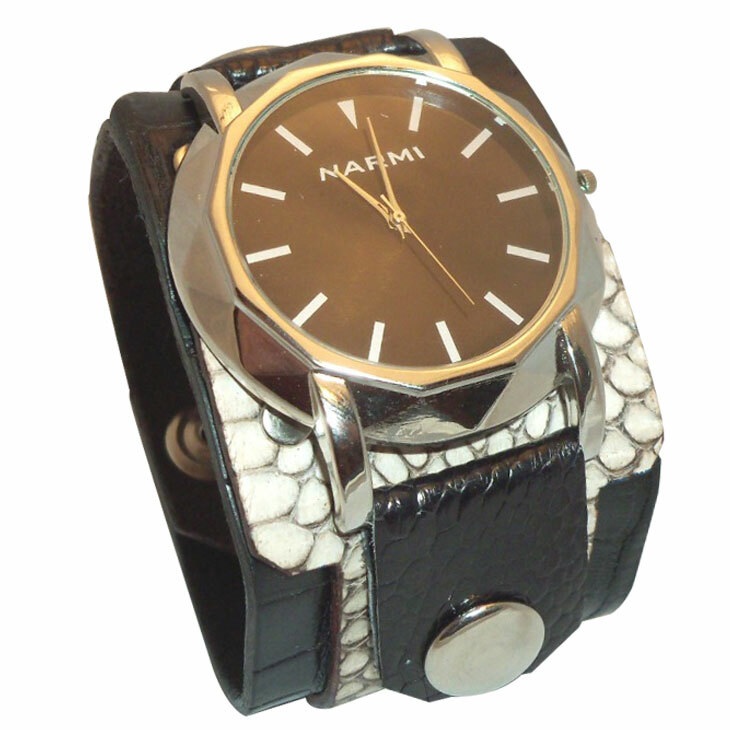 Black alligator and white cobra with black watchface. 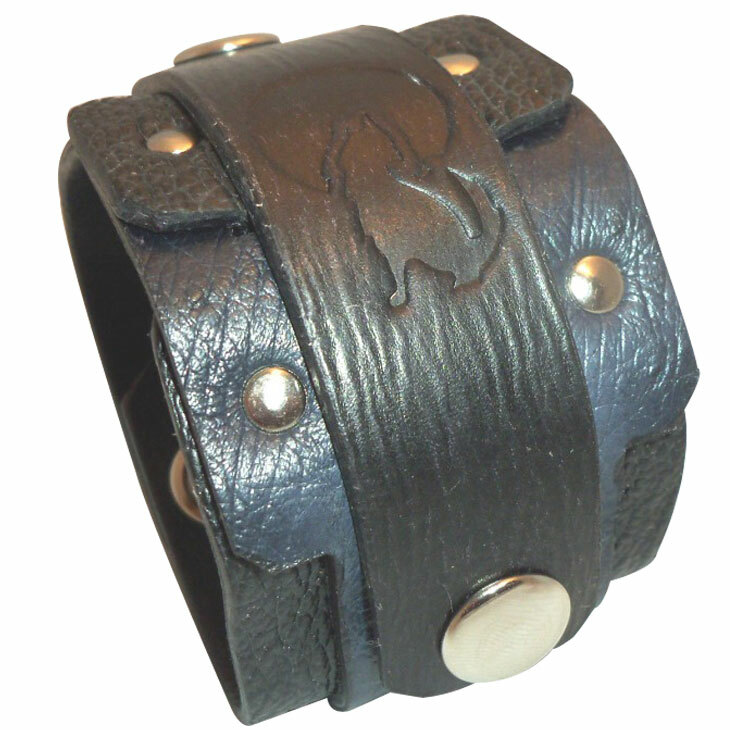 Black leather decor band with WolfCuff logo included. 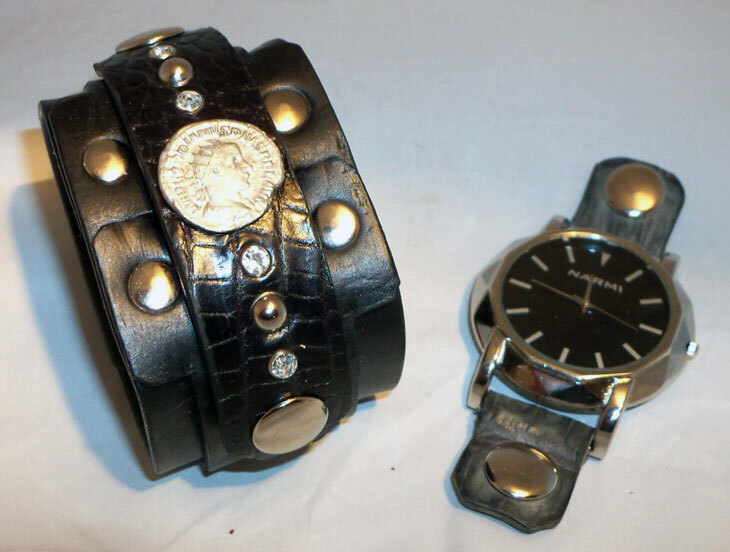 Black shark and grey ostrich with silver watchface. 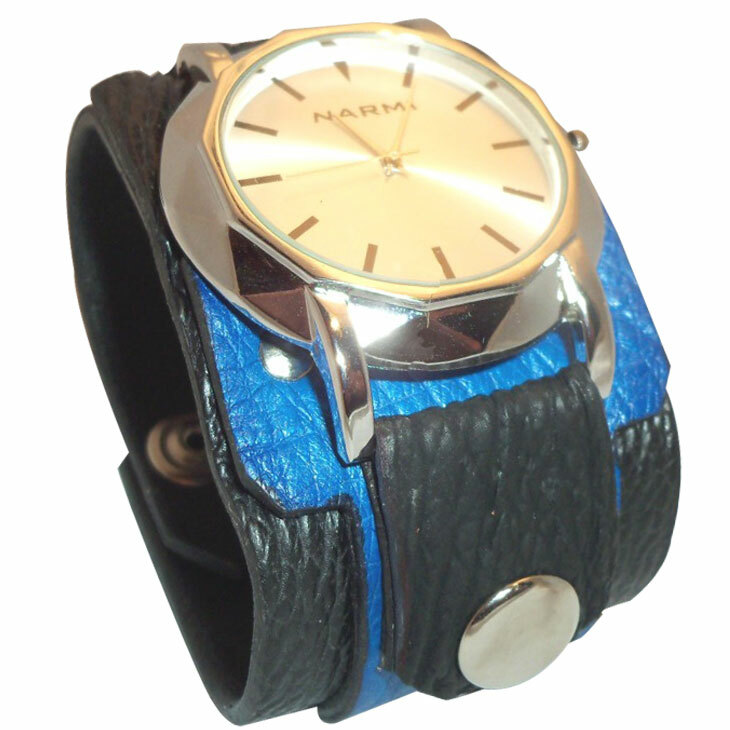 Black leather decor band included. 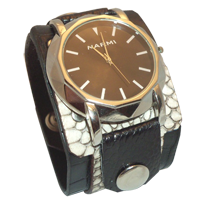 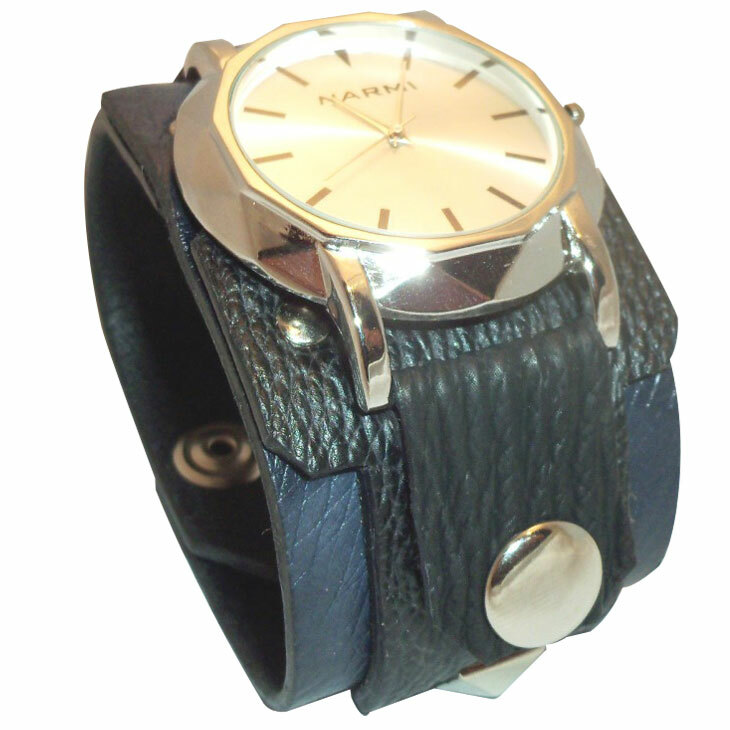 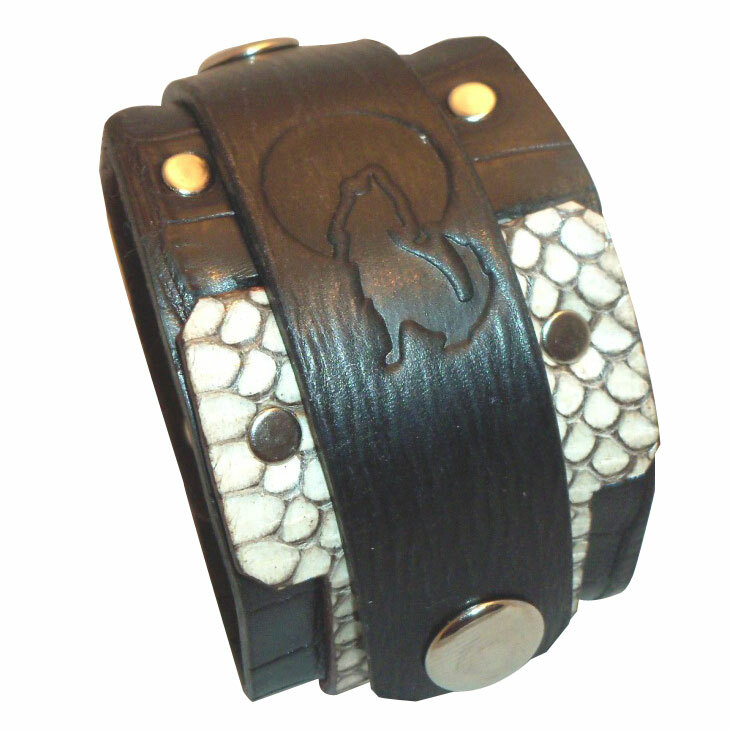 2" wide, black leather , watch attached with 2 grey alligator loops. 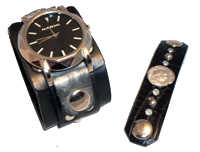 Here the snap on leather band comes with a genuine roman silver coin of GORDIANUS III 238-244 A.D. and clear crystals. 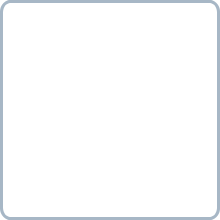 Model as show; Silver with Black Watch Face: $298. 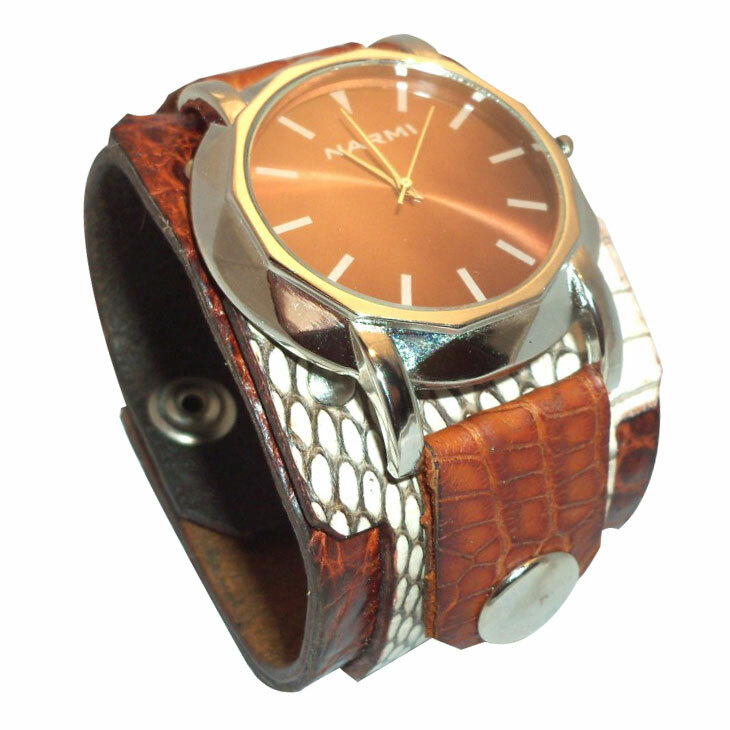 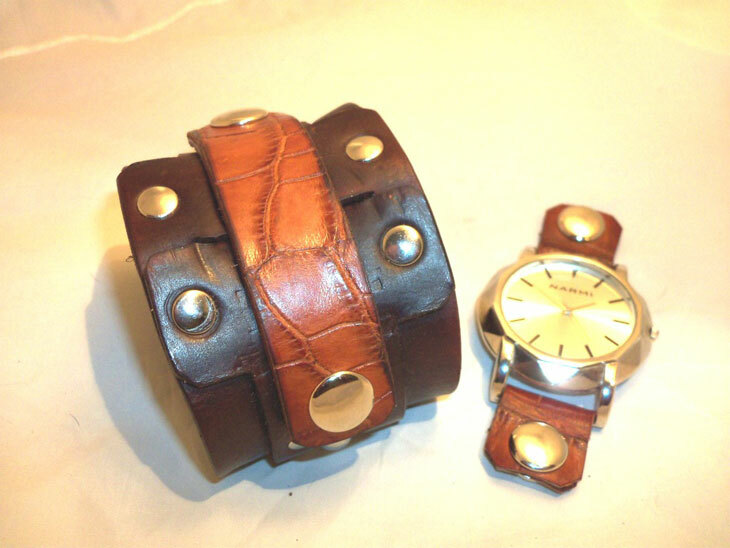 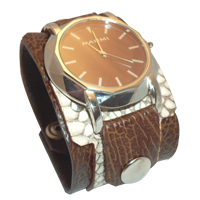 2.5" wide brown leather, watch attached with 2 tan alligator loops, snap on band all genuine tan alligator. Model as shown; Silver with Brown Watch Face: $198. 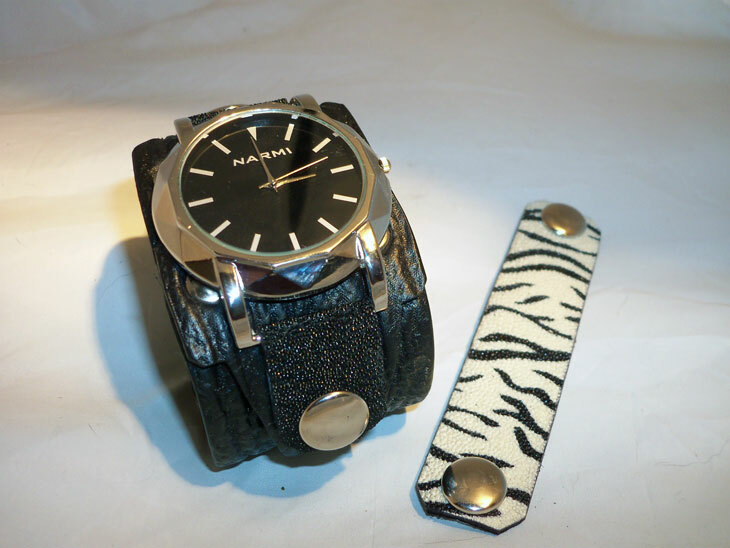 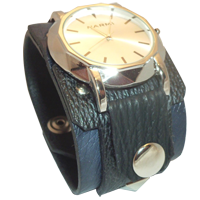 2" wide black shark leather, watch attached with 2 genuine stingray loops, snap on band in zebra design stingray.